London restaurant delivery start-up Deliveroo, founded by 2014 Young Guns William Shu and Greg Orlowski, has secured a staggering£16.55m ($25m) Series B round led by Index Ventures with Hoxton Ventures and Hummingbird Ventures also participating. The investment is Index’s second in the two year-old company after it backed the business with £2.75m in June last year. 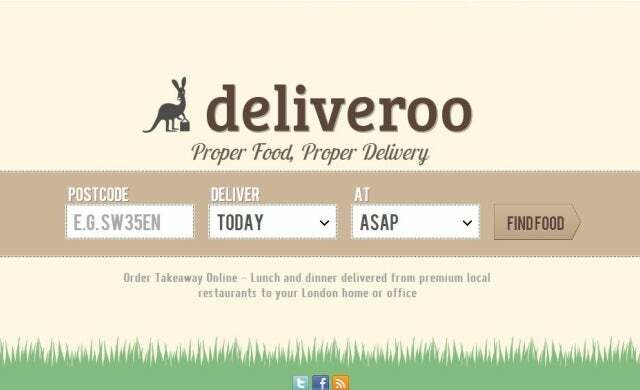 Launched in 2013, Deliveroo (formerly Roo Foods) works as a managed delivery platform for high-end independent restaurants and chains, including Carluccio’s, GBK and Nando’s, in return for a commission on sales. It intends to use the investment to expand its service in both the UK and overseas with a launch Manchester this week the first step on its path to growth. Following Just Eat’s recent IPO it’s clear that the food delivery market is a lucrative one – could Deliveroo be the next Just Eat?